Novi Split is going through the great reconsideration right now. Between Spare Songs, Keep Moving, Disk 2 and If Not This, Then What, David J has spent the last three months publicizing, re-publicizing, and in some cases unearthing everything that his singer/songwriter project has done. In case you the missed the incredible work of David J over the last decade, he’s making himself easy to find now. And that’s good, because these three releases show an impressive songwriter with a golden voice and a crisp, earnest singer/songwriter style. Let’s start with Keep Moving, Disk 2, which puts the focus on his 2003 debut, Keep Moving. Even though it invokes the title of the original album, it could more accurately be titled Pretty Much Everything I Did Between My First and Second Album, which was almost exactly four years from Jan 2003-Jan 2007. Disk 2 collects great tracks off obscure EPs (“Get Me to Bed”), devastatingly beautiful covers (Material Issue’s “Very First Lie,” Robyn Hitchcock’s “Madonna of the Wasps”), surprisingly pretty demos (“California Skies”), and an aptly titled instrumental (“Instrumental”). It also includes no less than 21 live tracks, which are mostly of Keep Moving tracks. 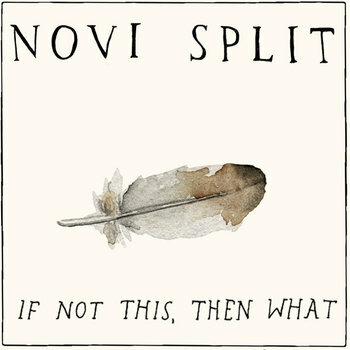 It is a deep dive into the catalog of Novi Split, and it will leave you charmed, pleased, and puzzled that Novi Split isn’t more well known. “The New Split (Live)” deeply moves me. “Me and Andy” has been one of my favorite songs for years. This reconsideration couldn’t come soon enough. Once you’ve been blown away by his early work, let’s pick up with some mid-period stuff in Spare Songs. Pink in the Sink was a decidedly more hi-fi affair, and the songs on Spare Songs show that. “I Wonder Who’s Kissing Her Now” seems to have mixing and mastering, a luxury that was not expended on some of the early tracks. This by no means diminishes the charm of the early ones or raises the stature of the new ones. It merely makes them sound different. David J’s voice gets featured a little less here, as his pristine songwriting gets played up. “Don’t Go Home” is an absolutely gorgeous piano tune, while “Pear” (a song I’ve never heard before) is a gentle, thoughtful instrumental that links up to previous tracks in the distant horn line. (Similar horn melodies will resurface in other songs–it’s a bonus, not a detractor. Trust me.) Spare Songs is capped by a delightfully weird and wonderful version of “Dancing in the Dark.” I like this version better than the Springsteen original, for real. And finally, we make it to If Not This, Then What, which includes brand new versions of songs off Pink in the Sink (“You Got Served,” “Young Girls”), songs that got released between PITS and now (“Hollow Notes”), and a brand new cover (Blaze Foley’s “Clay Pigeons”). Through it all, David J displays the intimacy that characterized his early works with the pristine songwriting and hi-fi production of his later work. I’ve said it before, and I’ll say it again: David J’s voice and songwriting sound effortless, as if he just opens his mouth and the music comes out. He’s significantly more alt-country than he used to be, but it’s not a twangy-voiced alt-country but a pedal-steel affection. It’s downright beautiful stuff. Now that Novi Split has cleared out every corner of the vault, I hope that we’ll be seeing some brand new work in the upcoming years. With all his work available and easily accessible for the first time ever (you have no idea how hard I worked to track down all the tracks that are now available on a single Bandcamp page), hopefully people will start to pick up on an unheralded, underappreciated master of the craft.